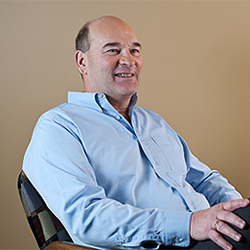 Duncan is a Chartered Professional Accountant with over 30 years of comptrollership, tax, financial and succession planning experience. Tax planning and transaction structuring are crucial to the success of every individual and company. Duncan works with clients to ensure that all tax options and their impact on net cash and family planning have been fully considered. He has served an extensive list of Provincial and local charities, professional and cultural groups. He continues to enjoy and support various levels of sport – including UNB hockey as an alumnus of the team. Comptroller ‐ Flakeboard Co. in St. Stephen, NB ‐ providing financial management and long‐ term planning to a team moving the company from early losses, to stability, growth and sustained profitability. Lee & Martin, partner with successor firms. Diverse client base (real estate, forestry, hi tech, holding companies, professional corporations, trusts). Ongoing assistance to several entrepreneurs with their start‐up of new and acquired businesses. Providing financial model and strategic planning for BioNB related to potential developments in the medical Cannabis space.